In DELIVER US FROM NORMAL, the Harrisong family left their hometown of Normal, Illinois, to live on a houseboat in the Gulf of Mexico. Their adventures have taken them from Alabama to Florida and everywhere in between. Now a new adventure is about to begin. Young Charles Harrisong, an aspiring writer, wrote the family's story which was then published in a well-known magazine. Cause for celebration except for the fact that a corporation known as Bargain Bonanza accused Charles and his family of causing a substantial decrease in their sales. Using a bit of legal trickery, the company has the Harrisong family signing on the dotted line to become the company's spokes family. On the surface this seems to be the chance of a lifetime, but you know what they say about something being too good to be true. Bargain Bonanza exploits Charles and his family until Charles decides to take matters into his own hands. His clever plan doesn't quite do the trick, but he learns that if his family works together they can accomplish what it takes to put a giant corporation in its place. Freshman Jack Sutton has ADHD. He relies on Ritalin to get him through the day. It's part of his daily routine to join the line of students outside the school nurse's office waiting for their meds. They even have a name for their situation - Club Meds. Jack is hoping being in high school will change his life. His condition and his often odd behavior have always made him the target for bullies. Unfortunately, Jack soon discovers high school doesn't change anything. In fact, the bullying becomes more serious. Longtime enemy Chuck has a new game that involves Jack. Chuck demands that Jack hand over his medication in exchange for not getting beaten up. Gripped by fear, Jack is forced to substitute look-alike mints for the medication he desperately needs. Taking his meds becomes a game of Russian roulette since he never knows if he is getting the real thing or a useless mint. Jack's friends come up with a plan to catch Chuck in the act. Will it work? Or will Chuck be able to turn the tables and pin everything on Jack? 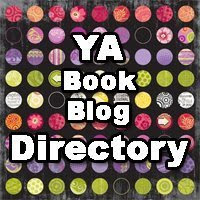 Check out this cool blog!!! If you have a spare minute or two, check out this awesome blog created by a couple of my students in computer class. 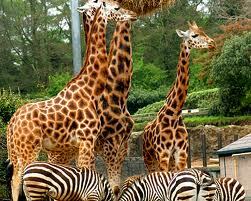 It's called The Zoos of America. Click here to visit. Thanks to the generosity of a friend, I have the perfect book for a February giveaway contest. 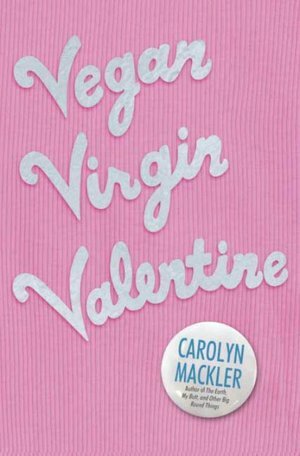 VEGAN, VIRGIN, VALENTINE by Carolyn Mackler is ready and waiting to be sent to one lucky winner. Entering is easy! Just fill out the form below by midnight on February 20, and you could have this copy for your very own. Hannah left home at age 14 to live in New York City. She attended the School of the Arts, and now she is a senior corps member of the Manhattan Ballet company. Life as a dancer is not easy. On one hand there is beauty and grace, and on the other there is pain and sacrifice. Hannah's days are filled with endless rehearsals and evenings of performances with only Monday off. Even on Mondays, she attends yoga and strength training sessions. Being a dancer means tireless dedication. Debut author Sophie Flack is able to capture the true essence of what it means to be a ballerina because she has lived it. Her own dancing career began at age seven and took her to the New York City Ballet and on to dance in over seventy ballets. BUNHEADS takes readers into the world of dance and explains everything from the hierarchy of the dancers to the way they break in a new pair of toe shoes. The pressure to stay thin leads to eating disorders and the stress of competition makes friendships tenuous at best. Hannah's drive to be promoted from corps member to soloist requires that she breathe, eat, and sleep ballet. She finds that making the choices between relationships and dancing are becoming more and more difficult. Each time she is passed over for a solo part, she questions her future. Readers will appreciate her struggle to remain dedicated or to take her life in a different direction. Sam has spent most of his life looking out for his younger brother Riddle. Raised by a father more interested in taking advantage of people and getting whatever he wants illegally, meant that Sam and Riddle were shuffled from one place to the next. Their contact with people living normal lives was severely limited. Using the excuse that he homeschooled his children allowed their father to keep them isolated. But it was more than mere isolation since the two boys were not only forced to stay indoors during the day to avoid being reported for truancy, but were also left on their own to scavenge for food in restaurant dumpsters. Sam developed a strong sense of responsibility for Riddle and suffered abuse at the hands of his father as he tried to protect his young brother. Riddle withdrew, and instead of talking, communicated through mechanically technical drawings made on the pages of old telephone books. Neither boy realized their lives could be better. Sam's path crossed with Emily's because of his love of music. He slipped into the back pew of her family's church on the Sunday she was to sing a solo. Being in the choir was fine with Emily, but singing a solo terrified her. Her voice wasn't exactly remarkable, and after her debut, she rushed from the church into a back alley. Sam was drawn to follow her. Something about her vulnerability made him offer comfort as she vomited behind the church. What follows is a story filled with remarkable connections. Beautifully told by first time novelist Holly Goldberg Sloan, I'LL BE THERE is a fantastic story. Readers will immediately bond with Sam, Riddle, and Emily as their story unfolds. Intense emotions, heartbreaking twists and turns, and the perfect amount of tension-breaking humor combine to make this one of the best books I've had the pleasure to read. When Q's friend JD pulls the gun from the back of his pants and shoots the owner of the food wagon, Q knows his life is about to change. One night Q and JD are out getting high and hanging out. Q gets the munchies and decides to grab a couple of bags of chips from a food truck parked in an alley. The owner of the truck shows up and JD pulls a gun and kills the man. Leaving their victim lying in the alley, they head to JD's house where JD devises a way to keep them from getting caught. The boys change clothes, shower, and then carefully wash their bikes. JD says he will wash their clothes and dispose of them and the weapon. They carry on with their lives until the police show up at Q's door. Joshua C. Cohen pairs two unlikely protagonists in his powerful, new novel LEVERAGE. He takes aim at bullying without softening the edges of this very real problem plaguing schools across the country. Kurt is adjusting to yet another foster care situation. In the system for years, he has suffered some of its worst nightmares. He's a huge kid with an attention grabbing scar on half his face, and if that's not enough to attract the bullies, he stutters. Fortunately, his size and strength have earned him the attention of the football coach and maybe a way to attract some positive attention for the first time in his young life. Danny spends much of his time alone because his mother is dead and his father is a busy doctor. His physical strength comes as a surprise and isn't noticed by most until he demonstrates it doing amazing tricks on the high bar as a gymnast. As powerful as he is on the bar, he is almost helpless when it comes to dodging his tormentors in the high school hallways and locker rooms. His best defense is to avoid the bullies whenever possible. As a result of their unlikely friendship, Danny and K﻿urt are in the wrong place at the wrong time and witness a brutal attack on one of Danny's teammates. The bullies involved are confident that their power and popularity allow them the freedom to mistreat anyone without suffering the consequences. Like most bullies, much of their power comes from the fear their victims have of seeking help. LEVERAGE portrays the efforts of two teens to overcome their fears to find justice for a friend. This is not an easy book to read, and I found myself needing to put it aside to digest some of the most disturbing scenes. What brought me back each time was knowing that as disturbing as these moments seem, I know they reflect the truth of events suffered by real victims every day. LEVERAGE will encourage readers to never fall into the role of passive bystander if they should witness the acts of bullies. Many today are worried about the plight of the American educational system. Some blame lack of money, while others blame poor teachers. Who would have suspected the janitors could be involved? Spencer has only been attending Welcher Elementary School for a few weeks. His current total of friends is zero. His chance of making friends doesn't increase when he starts seeing strange creatures in the school's hallways and classrooms. Spencer begins seeing the creatures after a trip to the bathroom. In an effort to remove permanent marker that had unfortunately ended up on his face, he uses some mysterious pink soap he found in the bathroom. After the nasty stinging sensation fades away, Spencer is happy to see the mark is gone, however, shortly after that he begins seeing the horrible creatures. What follows is a fantastic adventure involving a girl named Daisy, a custodian named Marv, and a corrupt government agency known as the BEM - the Bureau of Educational Maintenance. Spencer learns that the creatures are intent on destroying the education of children. Some of them breathe in brain waves causing apathy in students so they don't care about learning. Others cause confusion and distraction, and others put students to sleep. The janitors at Welcher Elementary School are out to rid the school of the Toxites, and Spencer and Daisy are ready to help in an effort to protect their right to an education. Using brooms, vacuums, and other cleaning supplies, they take on the vicious critters in some action-packed fight scenes. It's not going to be easy, but they are determined to prevail. LOST VOICES by Sarah Porter enters new territory for the paranormal genre. No vampires or werewolves this time. As the cover art promises, this story is about mermaids. Luce remembers life with her father as they traveled in their red van from place to place. Maybe he wasn't exactly a model of law-abiding citizenship, but she knew he loved her. When they settled in Alaska, he worked on a fishing boat and life promised to become normal for Luce, but then he was lost at sea. When her father didn't return, Luce was forced to live with her drunken uncle. It was a miserable life, but she was toughing it out until the night he attacked her. That's when the transformation took place. Luce has very little memory of exactly what happened. First, there was fear and humiliation at the hands of an old drunk, and then she felt herself flowing from one life into another. This new world was filled with mesmerizing music, and then suddenly a ship headed toward disaster. Luce was transformed. She was now a mermaid and lived with a tribe of mermaids. She soon learned that each of her fellow young mermaids had experienced their own pain and fear in life. Each had been transformed to escape the tortures of their human lives. Although, the mermaids are now free of evil humans, they have their own unique kind of evilness. Luce discovers that the mermaids use hypnotic, beautiful music to lure boats and ships to their destruction. The purpose of their siren songs is to kill as vengeance for the wrongs suffered at the hands of humans. Luce is instructed to believe there is no other recourse, but secretly she desires to use her mermaid powers for good rather than evil. Debut author Sarah Porter is sure to find a great many fans with her unique approach to the paranormal. Her flowing descriptions, heart-breaking tragedies, and beautiful young girls combine to create a fascinating story about an exceptional group of teenagers not of the mortal world. She is definitely an author to watch in the future. 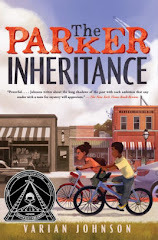 Reading YA fiction is my passion, and reviewing it is my way of sharing my love of reading with my students and anyone else who is interested. Well, I've made a New Year's resolution of sorts. It should be to lose weight or stop biting my cuticles, but hey, those are too easy, right? My resolution is to write. Actually, I have begun writing as part of a Teen Writers' Group one of my students suggested we start at the local public library. That small group has inspired me. I'm working in collaboration with one of the teens on a story about bullying, and I'm having a blast! I've started a blog to post some of what I'm writing, and I'm inviting you to comment. Yikes! That sounds looks as I type it, but I won't know if what I'm writing is worth anything if I don't put it out there for someone to read. Click here if you are interested or curious to see a work in-progress. Thanks. Two babies born on the same day. A white haired woman with a birthmark in the shape of a duck. A family feud and an historical connection. All these things combine to create the story 11 BIRTHDAYS by Wendy Mass. Leo and Amanda were born in the same hospital on the same day. Ever since that day they have celebrated their birthdays together; that is until the year they turn eleven. The two haven't spoken for a year. At their tenth birthday party, Amanda overheard Leo telling his friends that he was sick of celebrating birthdays with her. She left the party and has avoided Leo since. Today is her eleventh birthday. She wakes up not quite feeling like herself. As she gets ready for school, she realizes that she is dreading the party scheduled for tonight. When she heads down to breakfast she encounters her grumpy sister, listens to her father sneeze and cough as the result of a terrible cold, and watches her mother bustle around getting ready for an important business meeting. Because her father is under the weather, Amanda and her sister must hustle to catch the bus. Amanda notices a new bus driver as she stumbles to a seat. Her best friend enters the bus at the next stop but doesn't see Amanda and sits with someone else instead. The two girls are busily discussing the upcoming gymnastics tryouts enthusiastically. Amanda is dreading the tryouts because she is sure she'll make a fool of herself. Things look up a bit when Amanda enters the school and discovers someone has decorated her locker with "Happy Birthday" and colorful streamers. However, any happy feelings soon disappear as she is unable to open the stubborn lock on her locker which makes her late for class and the surprise pop quiz her teacher is announcing. From there things just get worse. Her eleventh birthday certainly didn't turn out as she had hoped. Hopefully, tomorrow will be better. What she doesn't know is that she is about to relive her eleventh birthday over and over. Author Wendy Mass always offers a unique story, and 11 BIRTHDAYS is no exception. Much like in the famed movie GROUNDHOG DAY, Amanda and Leo are destined to relive one day until they can figure out the solution to break the magical curse. Amanda and Leo learn about the importance of friendship and following their own dreams. Mass uses her creative talent to keep the story moving at a fast pace despite the repetition.